be interesting to include the fake info and the info of where he really was. his host family, the Olsons, and his long-distance girlfriend, Leanna. learned a bit of Swedish, and had a life-altering experience. 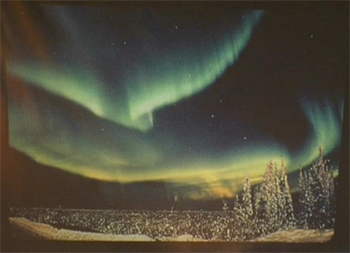 Liz also mentions that Alex went on a cross-country tour with Leanna, and they went to the Baltic Islands. 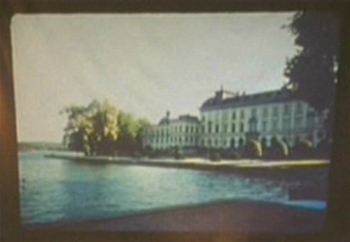 It is where the building was supposedly located that is in the picture Liz finds. Later she finds out the building was torn down in 1994. Johan, Gustav, Rebecka, Mattias, and little Kiki. 3 men's names and 2 women's names . 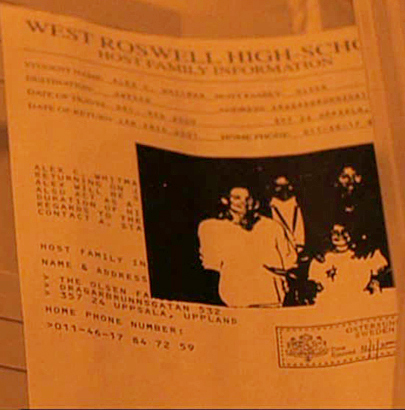 After Alex dies, Liz, and eventually Maria investigate his trip, and this is the info they gathered. 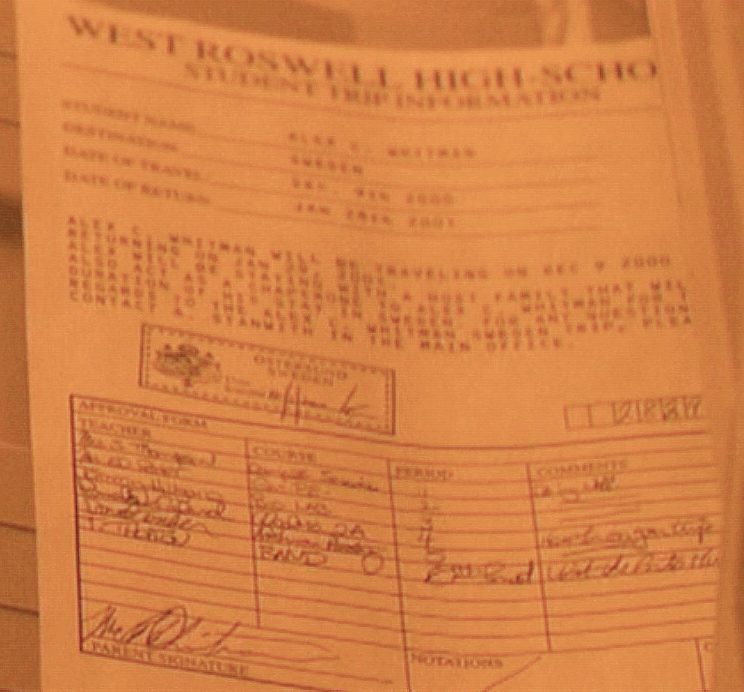 These documents are the ones Liz got when she and Sean broke into the school. I, Alex Whitman, request a travel pass so I may travel to Sweden. I have always been drawn to the beauty and incredible structures/architecture that Sweden has to offer. I am incredibly passionate about seeing Sweden before I am 18 years old. I have permission from my parents to travel to Sweden. I am also aware that I will be staying with a host family that will also serve as a chaperone for my entire stay in Sweden. 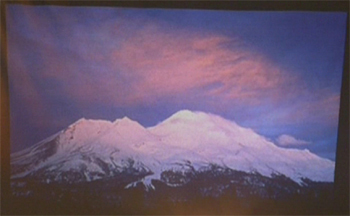 Alex C. Whitman will be traveling on Dec 9 2000 and returning on Jan 28, 2001. 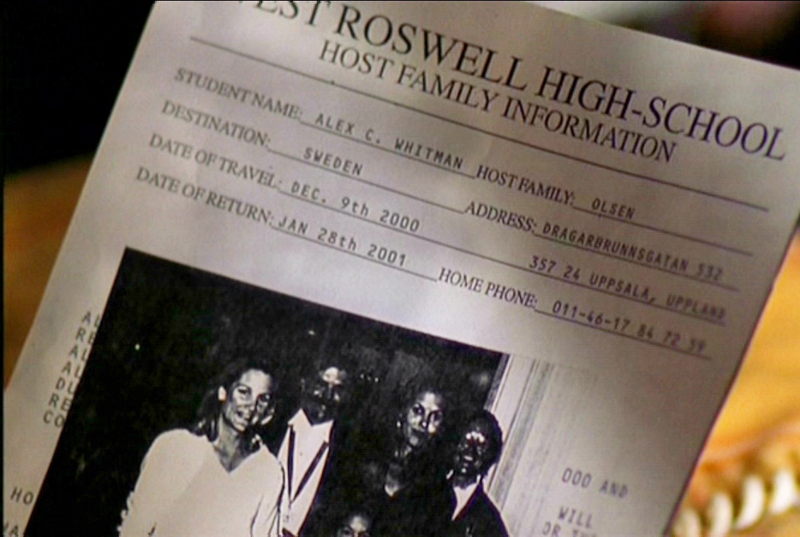 Alex will be staying with a host family that will also act as a chaperone to Alex C. Whitman for the duration of his stay in Sweden. For any questions in regards to the Alex C. Whitman Sweden trip, please contact A Stanwith in the main office. 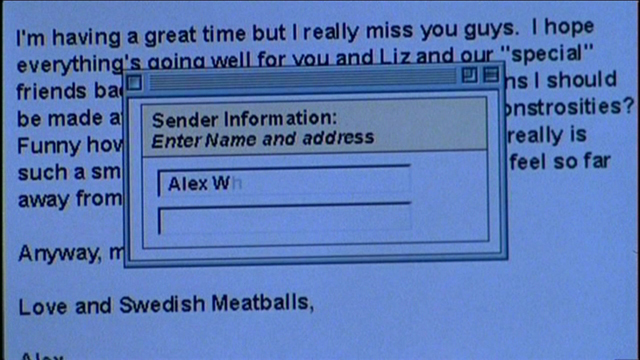 This is an email that Alex sent while he was away, that Maria gives to the computer guy to check out. This is the file Liz found on Alex's computer. It was created Jan 16th when he was in 'Sweden'. Here is the Thai delivery food receipt that Alex signed with binary code. 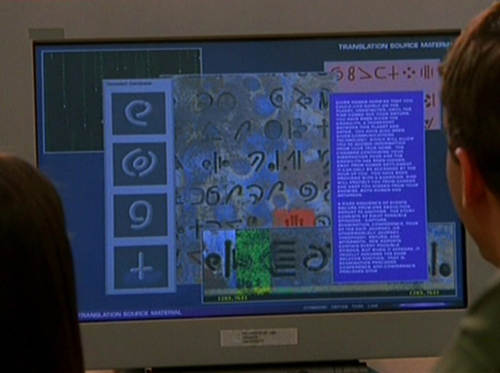 It is not exactly clear what happened, but Tess mindwarped Alex to use the new super computer at the University to translate the alien language in the metal book into English. 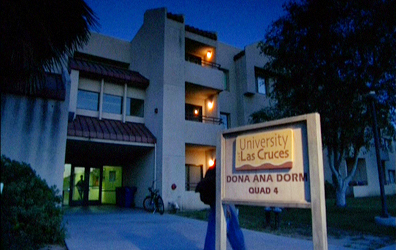 When he was at the University, he lived in the Dona Ana Student dorms, using the name Ray. A student in the same dorm, told Liz and Maria that 'Ray' was only there a couple of months, hardly said a word and was a very weird guy. 'Ray' never left his room in the day and the only time he opened his door was to get delivery Thai food he ordered, breakfast, lunch and dinner. 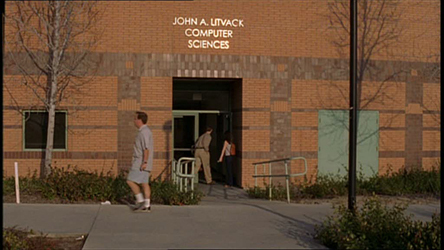 One night, around 4am the student said he saw 'Ray' coming out of the Litvack Computer Science building, but it was like 'Ray' was in a trance and didn't even acknowledge his presence. So poor Alex was kept in his room except to do the work, and fed Thai food constantly. It is likely he was kept in a mindwarp the whole time he was there. We don't know if Alex thought he was in Sweden when he was decoding the book, or if Tess mindwarped him afterward to think he was in Sweden, but it is clear that Tess had this plan in mind for a while because she had to set up the phoney trip beforehand. 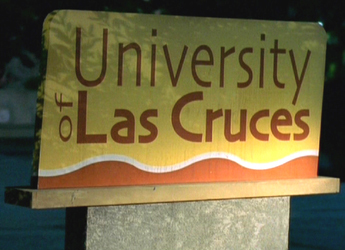 Liz, Maria and Michael also discover that Alex's long-distance Swedish girlfriend Leanna, is actually a student at the University, named Jennifer Coleman. 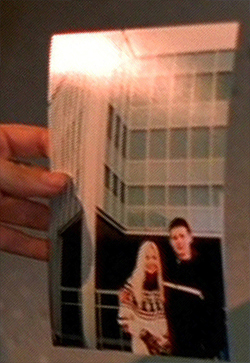 When Alex finished the translation of the book, he emailed the results to an account seemingly owned by Jennifer, and then deleted the translation from the University's computers. 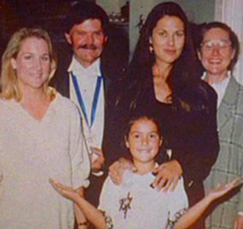 Liz, Maria and Michael go to see Jennifer, but her roommate tells them she left that morning, with a family emergency. 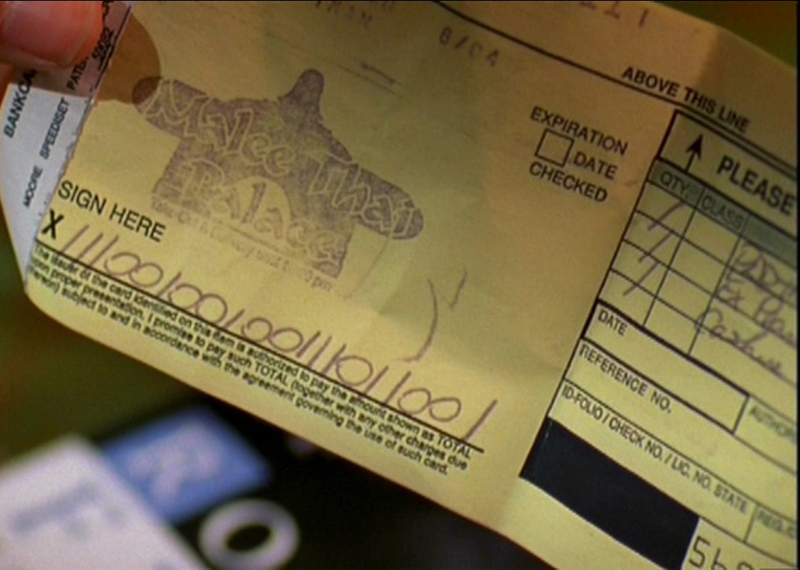 So they search Jennifer's room and find a bill for a rental property. 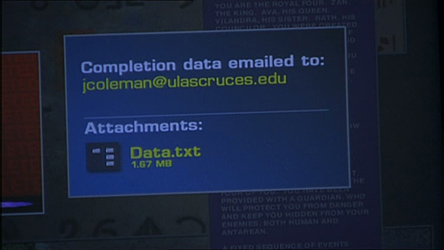 At the rental house they find a computer and printer guarded by an alien device that explodes when they get close. On the computer Liz finds the file with the translation, and nearby is a crystal that works with the Granolith. 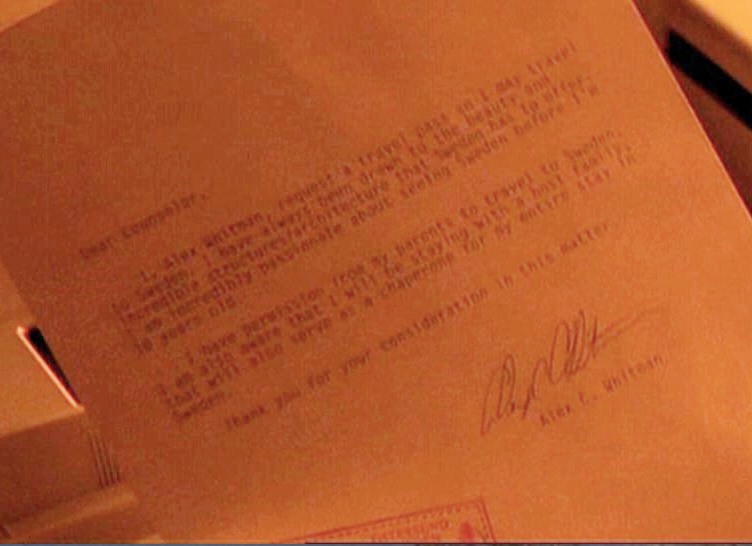 It is unclear if Leanna/Jennifer was ever involved in the plan to get Alex to decode the destiny book. It seems suspicious that she was hanging around campus just long enough for Maria and Liz to see her and make them interested in finding her, and then she was gone on an 'emergency' when Liz, Maria and Michael go to look for her at her dorm. But she could have been used to lure them to find the translation, and then sent away so they couldn't ask her anything. She may have been a human who was set up by Tess, or she might have been mindwarped by Tess to participate in some way. It is also possible that an alien, perhaps a shapeshifter or Skin, was posing as Leanna/Jennifer and used the appearance of a local girl to blend in. 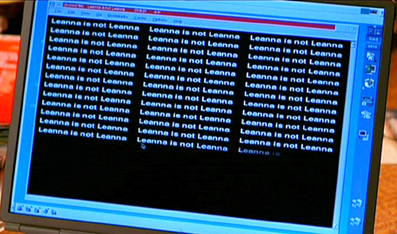 It is even possible that Leanna/Jennifer was Tess herself, who mindwarped Alex to see her as Leanna.